Positioned within the crosshairs of a political dispute over immigration and budget appropriations that has spawned the longest federal government shutdown in United States history, many government employees have had to scrape by without recent paychecks. 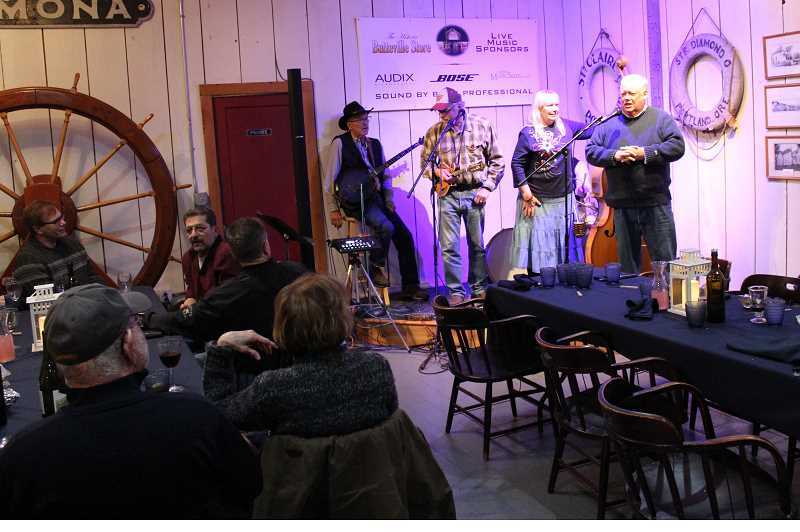 To provide a brief respite from stress and financial strain, the Friends of Historic Butteville hosted federal workers impacted by the shutdown for a free full course meal and a musical performance by 'Red Diesel" Saturday, Jan. 19 at the Butteville Store just outside of Wilsonville. "We are proud to show our support for federal employees," said Greg Leo, the vice president of the Friends of Historic Butteville, during a speech at the event. Butteville Store operator Dori Brattain, whose father worked in the military and mother in the U.S. Department of Agriculture, remembers her family feeling some unease heading into governmental budget negotiations. "Wondering when they do the budget of whether the government was shut down or not ... that was a big thing," Brattain said. Feeling a soft spot for government employees and as the host of a weekly dinner at the Buttevile Store, Brattain thought it would be a good idea to offer a free meal to those affected by the shutdown. "I think with as long as it's gone, we have some people who are working with no pay," she said. "It's a nice community thing to be able to do. We appreciate everything they do." 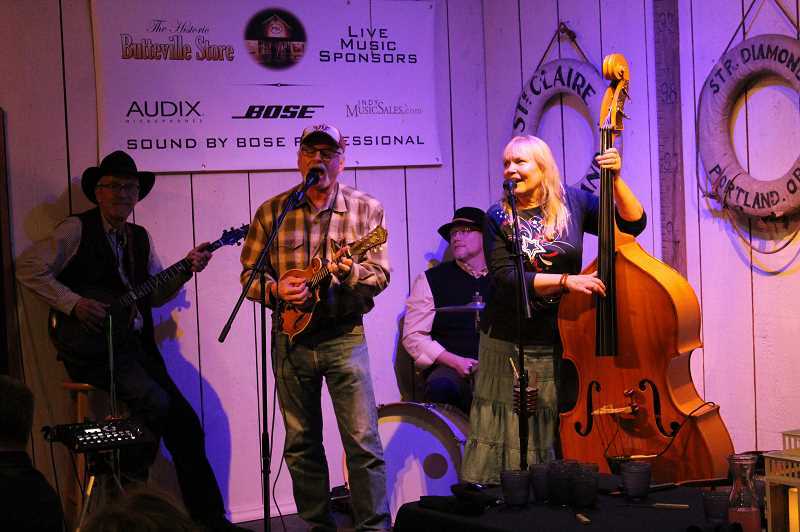 Wilsonville resident Jim Newton and his wife Judy were among the attendees Saturday night. Jim is an international trade financial specialist for the Small Business Administration, which helps connect businesses with lenders. Jim said that during the shutdown the only SBA employees who are still on the job are those assigned to work with individuals and businesses affected by natural disasters. Jim, for his part, missed out on his second consecutive paycheck last week. Luckily, Jim and Judy have some money saved up and are hopeful Jim will receive back pay once the government opens. But Jim said that if the shutdown had occurred when they were in the process of selling their home in California during their move to Wilsonville last year, they would be in a "world of hurt." And they surmised that when it comes to braving the shutdown, their financial stability is the exception rather than the rule. "It's a travesty that people are having to uproot their lives; they're missing their rent (money)," Judy said. "How can you operate if you've lost two paychecks?" Jim helps businesses across the Northwest, Guam and Hawaii secure financing to export their products to other countries and said that, amid the shutdown, many are unable to do so without the help of the SBA. And Jim said the shutdown has not only affected his clients and companies that need export financing but also SBA information technology contractors whose work has dried up since the shutdown and might pursue opportunities in the private sector. "I was working with one particular small business on the west side of Portland just before the shutdown that happens to be involved in horticultural equipment and they sold to about 70 different countries and they were looking to get financing to (further) open up their export sales," Jim said. "But we had to table that until we can get back open for business." "I think it's having an adverse effect on the economy already and the longer it goes it's going to deepen the impact," Jim said. Jim and Judy's daughter saw a post on Facebook about the event and subsequently told her parents about it. Having enjoyed the store's food before, the Newtons decided to attend. They appreciated the generosity of the Butteville Store staff. "It's neat that they are aware that this is an awkward time. I think it's the emotional support as much as ... the idea of a free dinner is always nice but it's even more important that people recognize what people are going through," Judy said.